Envision Williamston is now accepting applications for a Main Street Challenge Program. This program is an entrepreneurial start-up competition for the purpose of generating additional retail occupancy in Williamston and is offering an incentive package in excess of $10,000 to each of the winning entrepreneurs who are selected to open their new business in Williamston. The Small Business Development Center based at Clemson University is providing hands on assistance to all semi-finalists. “Come and let your entrepreneurial spirit grow!” Envision Williamston Executive Director Sonya Crandall said. 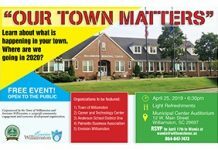 For more information go to the Envision Williamston website at www.envisionwilliamston.com and click on the Main Street Challenge. Envision Williamston is also now taking applications for Facade Improvement Grants. The Facade Improvement Grant Program provides a one-time reimbursement grant up to $2,000 to commercial property owners with the business owner providing a match of 50%. Improvements eligible for a grant include exterior cosmetic and/or structural building improvements, painting, signage, windows, and awnings which are visible from the street. Applications for the Facade Improvement Grant Program will be accepted through April 28. 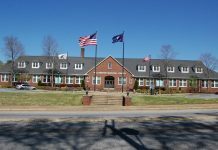 Information on the Facade Improvement Grant is also available on the Envision Williamston website. For information on either program, contact Sonya Crandall, Executive Director, Envision Williamston at sonyacew@gmail.com; or call 864-847-7473.